Succeeding with social media is a big job. Large companies with massive marketing budgets often manage the task by hiring an in-house team to handle their social presence. For small and mid-size businesses, however, bringing on a team of new people solely to handle social is rarely a viable option. That doesn’t mean you’re out of opportunities for improving your online social media marketing in Calgary. You can succeed on social no matter the size of your business, and you can do it without committing an excessive amount of time to the process. It’s not something you have to figure out on your own, either. There are plenty of tips and tools that will aid you on your quest to efficient social media marketing. The first step to success is eliminating distractions. This can be especially difficult with social, as the nature of social media means that you’ll constantly encounter interesting links and conversations that have nothing to do with what you’re working on. Do your best to put on blinders, and focus on the task at hand. If you stumble onto something especially interesting, bookmark it and read it later. Create a Calendar – There’s no hope for getting organized if you don’t have a centralized place to record important dates, times, and deadlines. Create a social calendar, and use it. Use your social calendar to plan updates and articles, but don’t forget to schedule time for “maintenance” activities like responding to interactions. Conversation remains key on social! Plan in Bulk – When you’re ready to work on your calendar, block out considerable time for the task. Doing so will save you time in the long run, and it will help you develop a schedule with cohesion and clear direction. There are plenty of great social tools available to help you stay organized. For most people, using social organization tools is a far more efficient means of social planning than developing a calendar from scratch. Many of these tools also offer analytics, allowing you to constantly improve your social offerings. Buffer – One of the most popular social scheduling tools, Buffer has been around for quite a while by digital standards, and for good reason. Buffer makes it easy to share content on all the major social sites, and allows you to schedule posts in advance so that your social feed will update on its own throughout the day. SocialOomph – Twitter demands a lot of time even by social media standards, so it’s no surprise that Twitter-focused tools are especially popular. SocialOomph is one of the best, allowing you to schedule tweets and automatically follow your new followers. You can also use SocialOomph to manage accounts on other sites. HootSuite – You won’t find a more popular or highly praised social organization tool than HootSuite. Use HootSuite to manage all of your social pages from one centralized dashboard, post updates, and measure campaign results with detailed analytics. You can even use it to track conversations and mentions. With the right combination of tools and know-how, you can organize your social updates like a pro. Remember that you have many options for social tools and strategy, so there’s no need to get discouraged if a given choice doesn’t deliver the results you expect. The positive effects on your online marketing in Calgary will be more than worth the effort required to find a social solution that fits your needs. At Emphasize Design, we know social media is an important element of your online marketing, and we know which social behaviours lead to success. 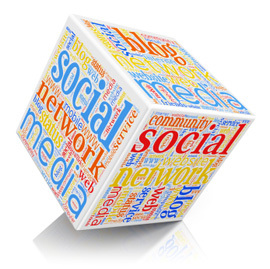 Looking for other ways to boost your online social media marketing in Calgary? Take a look at our recipe for success, and learn the ingredients that will get you more leads for less money.